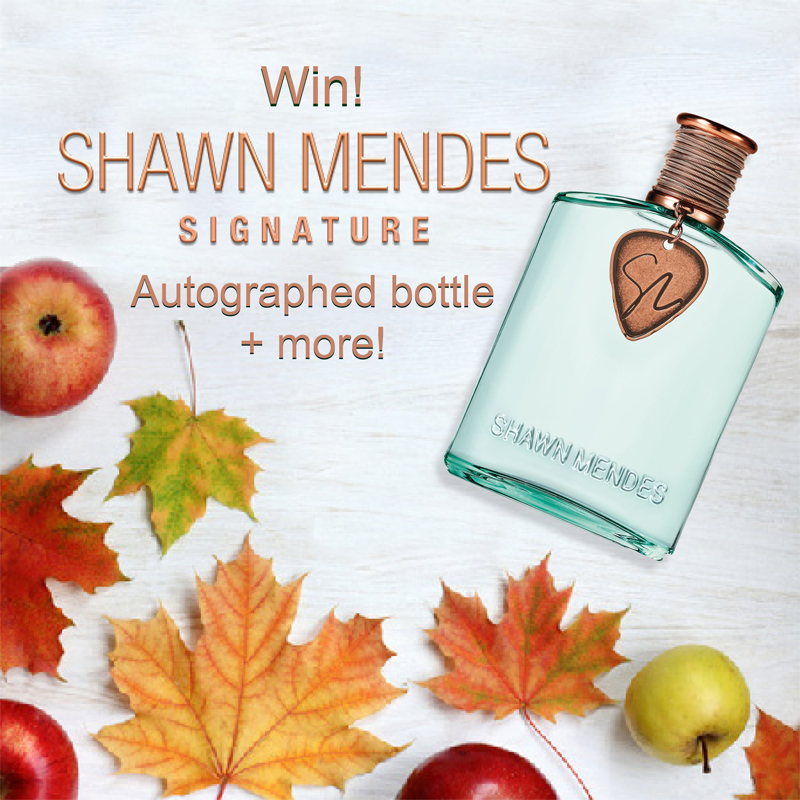 A special giveaway for lovers of all things Shawn Mendes! We know you love Shawn Mendes as much as we do! So, we’re giving away his new Signature fragrance plus other great swag! The fragrance is inspired by Shawn’s artistry, passion for music and his Canadian roots. The addictive scent includes notes of sugar maple, McIntosh apples, rose petals, lemon, white cedar and musk. Buy Shawn Mendes Signature now! Follow FazeMagazine on Twitter or Instagram and we will double your chances to win! No purchase necessary. Contest entry deadline is November 18, 2017, midnight EST. Number of entries limited to one entry per person/email address per hour. Competition open to residents of Canada excluding residents of Quebec. Entrants must be at least 13 years of age (or older if required by the laws of the province or state in which you reside.) Ineligible entrants include all employees of Faze Media Group companies, Elizabeth Arden companies, their families, agents or anyone professionally associated with the administration of this promotion. Chances of winning depend upon the total number of entries. Prize winners will be notified within 2 business days of closing date of the contest. Any unclaimed prizes will be forfeited after one month of the closing date. There is no substitution available (sizes are as is) and there is no cash alternative. Items may not be exactly as shown or described.